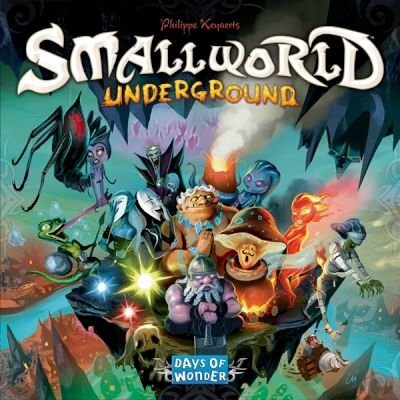 Small World Underground is a stand-alone game set beneath the surface of the same fun, light-hearted Small World universe of epic conquests and fallen empires. Featuring new Races and Special Powers, it also introduces a new twist to the original game play - Monster occupied regions that protect Relics and Places of great power. While more daunting to conquer, these bestow even greater powers to their owner. Like previous Small World expansions which sold out quickly, this sequel to the best-selling Small World board game (over 100,000 sold world wide) is sure to be a hit with fans. 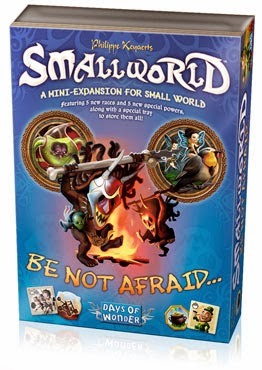 Small World Underground can be played on its own or combined with other Small World game elements, as many of the Races and Sepcial Powers from the original game and previous expansions are compatible. Recommended for experienced Small World players. 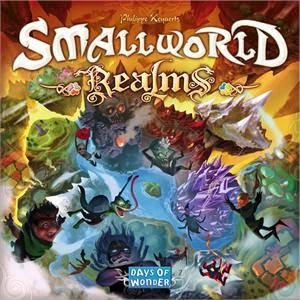 Expansion or Base Game: Base, but may be combined with other Small World releases. 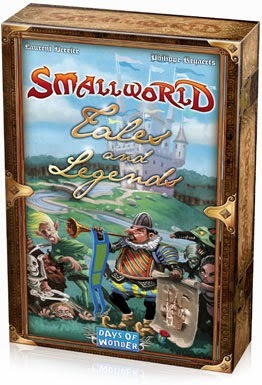 The Publisher recommends that players be familiar with Small World before playing Small World Underground. Package Contents: 2 double-Sided Game Boards, 15 New Fantasy Races with matching banners and tokens, 21 New Special Power badges, 9 Popular Places and 6 Righteous Relics, 106 Victory Coins, dozens of additional special tokens, 5 Player and 1 Game Turn Summary Sheets, 1 Reinforcement Die, and Rules Booklet. Never played the original, but didn't have trouble learning Underground. Really fun strategy game with a LOT of replay value! Great addition to any board game collection! "Be Not Afraid" has a lot of extra pieces and includes a tray to hold the all the expansion races. Perfect for storage and especially useful if you plan on carting your game around. Being a particularly male-dominated game, it's great to see women represented well in this expansion and has three female races included. A popular choice amongst gamers. This expansion is highlighted by the 5 amazing powers. Cursed, which this expansion is named after, is such an interesting power. It gives zero extra units, however, when it gets passed over, a player must pay three victory coins. This expansion gives the most expansion for your money and very often a favourite. Tales and Legends is a game changing expansion. 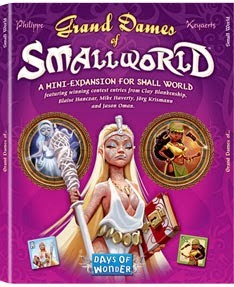 There are no races or powers but adds a new rule set and therefore increases the challenge factor for Smallworld. Highly recommend for veteran players who would like to increase their challenge level. 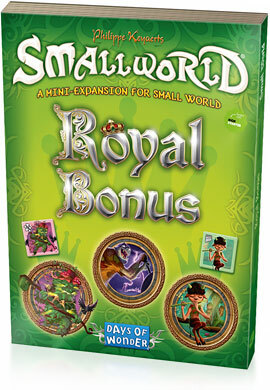 Smallworld "Realms" is the biggest expansion to the game and works with both the regular core Smallworld and the Smallworld Underground game and even includes tunnel pieces to incorporate the two. Recommended for any group who would like some variation to the map or enjoy creating their own scenarios to play through. This expansion introduces three new Race banners and tokens (Fauns, Igors, Shrubmen) and three new Special Power badges (Fireball, Aquatic, Behemoth). 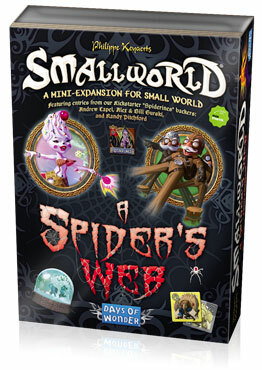 This expansion comes complete with a plastic storage tray designed to store all the badges and tokens from "A Spider's Web", plus it includes room for all the additional recent Small World expansions. It also includes leader tokens for the 3 new Races.